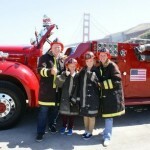 Great for Adults and Kids, San Francisco visitors, Giants fans and baseball fanatics. Due to possible post-season activity, there may be changes to the October schedule. 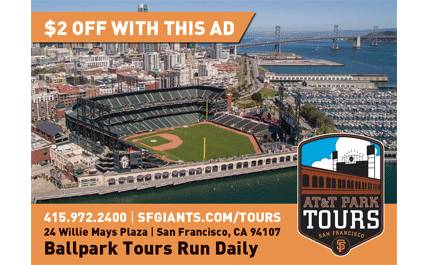 Tours depart from the Giants Dugout Store at AT&T Park. The world’s first 3D flying theater experience! 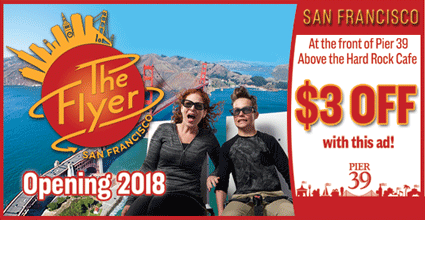 A thrilling and inspiring attraction for all ages, The Flyer—San Francisco is a perfect introduction to San Francisco and a riveting ride for locals, who will see San Francisco in a whole new way! Use code: WM1001. 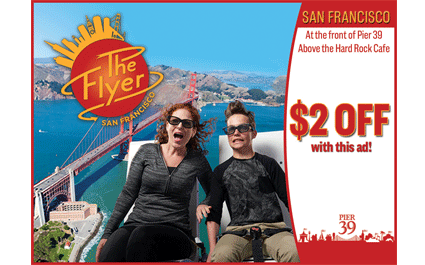 SF’s scariest & funniest attraction! 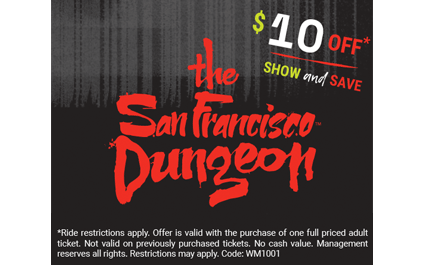 The San Francisco Dungeon is a 60-minute fully themed journey through San Francisco’s past from the Gold Rush to Alcatraz. Use Code: WM1001. 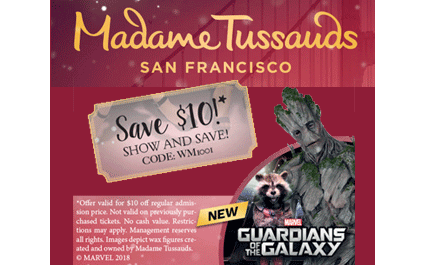 Come to Madame Tussauds to meet all of your favorite stars at our world-famous wax attraction at Fisherman’s Wharf! 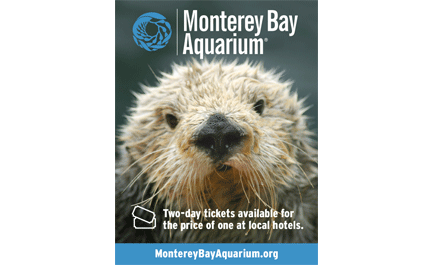 Offer valid for $10.00 off the regular admission. Not valid on previously purchased tickets. No cash value. Restrictions may apply. Management reserves all rights. 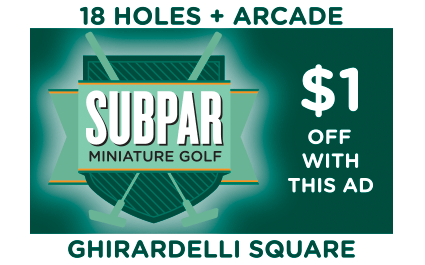 Indoor Miniature Golf at Ghirardelli Square. Take a quick tour around San Francisco, and putt through all your favorite landmarks! Save $38 with San Francisco WharfPass! 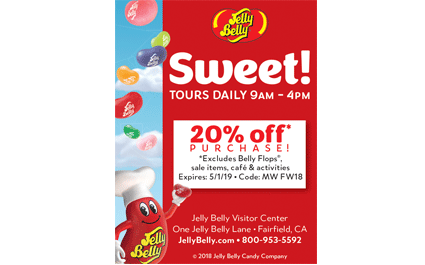 Visit the Jelly Belly Factory. Take a tour and take home some delicious treats. Fun, interactive and sensory exhibits. Excludes Belly Flops, sale items, cafe & activities. Expires: 5/1/19 Code: MW FW18. 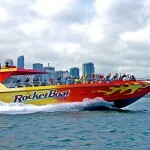 The new ultimate thrill ride on the Bay! The Office is open Monday - Friday 8:00 am until 5:00 pm. Please call for departure times. Coupon good for up to 6 ticket discounts and must be presented at time of purchase. Not for resale and no cash value. Cannot be used in conjunction with any other discount.